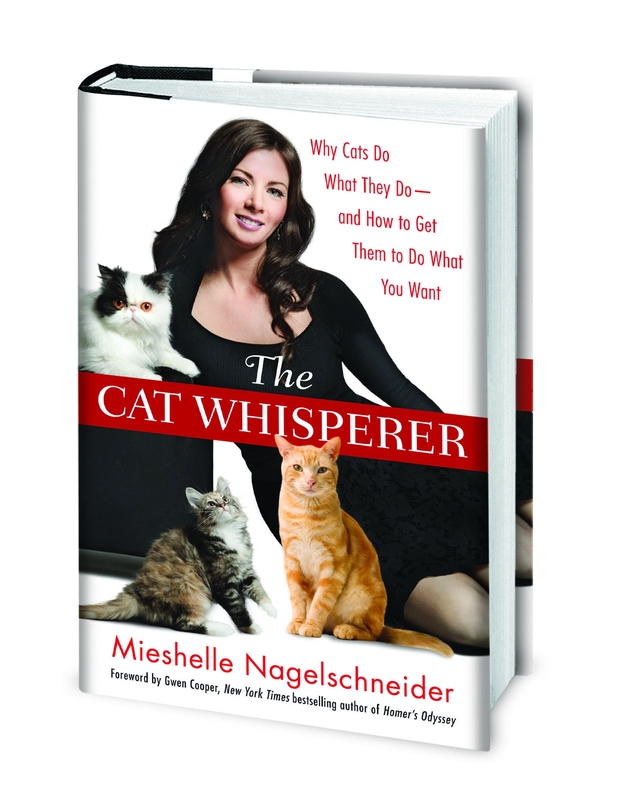 Mieshelle Nagelschneider’s proprietary, easy-to-implement C.A.T. Plan™ positive behavior modification, the most effective, comprehensive, and up-to-date system for curing any cat behavior problem. Because every cat and environment is different, the plan allows for customized behavior techniques and environmental changes when needed. C: Cease the unwanted behavior A: Attract cat to new behavior T: Transform your cat's environment How Can a C.A.T. Plan Solve All My Cats’ Behavior Problems? A C.A.T. Plan is a cat behavior modification plan specifically tailored to your cat not only in the context of its behavior problems and particular household environment, but its natural wildcat instincts still genetically prevalent from the African Wildcat. What’s important is that Mieshelle and the client address all elements of the Plan: Identification. You can’t solve what you don’t understand. Is your cat spraying — or just urinating? How can you know? If he’s spraying, which one of dozens of possible reasons is causing it? Is that just a stool on the carpet — or is your cat trying to tell you something by middening? (Do you know what middening is?) Last but not least, how can you know when the problem may have a medical cause — and what you need in addition to cat behavior techniques is a vet or even medication? In many cases, if you don’t identify the problem, you could waste your time and money and even harm your cat! We recommend that all cat owners have their cat checked out by a vet. Our behavior advice does not take the place of vet care. The next three steps must go together. If you are using advice that (as often happens) only includes 1 or at most 2 of these steps, your success rate will never be as good as when working with Mieshelle. C is for Cease the Unwanted Behavior For inappropriate urination, for example, Mieshelle will tell you how to clean and treat the soiled areas, how to do so properly, and what products to use — and which popular one to avoid. She’ll also save you from a lot of traditional, but wrong, advice. For example, should you or shouldn’t you place litter boxes at the scene of the crime? Is what you’re doing causing social hierarchy stress leading to litter box issues and even health problems? Does the African Wildcat share latrine sites? In her cat behavior book or in a phone consultation, Mieshelle will coach you on techniques to make the unwanted behavior unattractive, from simply strategies to powerful, scientifically-validated, and easy-to-follow re-association techniques. If any behavior products are involved, she will give you tips that are more effective than those of the product manufacturers themselves. She’ll even teach you what a real prey sequence looks like — and how to make sure that you are leaving your cats satisfied after they play (hunt), not damaging the delicate social hierarchy, and not becoming more frustrated! A is for Attract the Cat to a Desirable Behavior Continuing the example of a cat with urination problems, Mieshelle will show you the second critical step: how to attract your kitty back to the litter box using techniques that fall in line with their natural wildcat instincts that you can thank their wildcat ancestor (the African Wildcat) for. She’ll cover box type, size, design, cleanliness, dispersion and placement, number, and places to avoid. Should you use covered boxes? Automated? Which popular litter substrate to use and which ones to avoid. Mieshelle will tell you everything. Your (wild) cat will start returning to her box, every time. T is for Transform the Territory, or Environment And Mieshelle is absolutely unique in providing a powerful array of tools for the critical third step, that of Transforming your (“wild”) cat’s Territory in order to greatly reduce any chances of a relapse. Do you know what should never go near litter boxes and what should? How to know when one of your cats is purposefully blocking the way to the litter box for others? How much light to provide? What Maintenance Litter should you use once the problem has been solved? How should the rest of your cat’s important resources be set up in the home to make sure you’re not causing litter box issues or social hierarchy structuring issues with other cats in the household?